Rose petals are a romantic and colourful addition to your wedding and have a number of different uses. With roses signifying love, joy, and beauty they are the perfect wedding accessory. Find out how to use wedding rose petals on your big day. What colour wedding rose petals can I have? Preserved rose petals can also be colour enhanced, so you can select almost any shade to complement your wedding colour scheme. If you want naturally coloured rose petals you might be restricted to reds, yellows, pinks, and whites, and your supplier might not be able to ensure the exact shade you will receive. White roses symbolise innocence, whereas ivory roses signify fidelity. Bright red roses indicate passion, while darker reds are all about gratitude. Don’t forget to consider about the significance of your rose petal colours, and be careful with yellow roses which indicate jealousy. How can I use wedding rose petals? 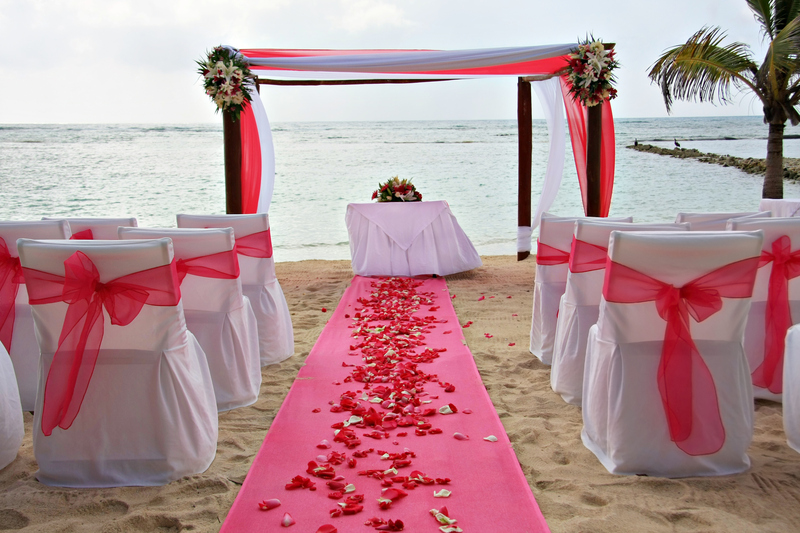 One lovely use for rose petals is to create a petal strewn aisle for you to walk along. A flower girl can be the first down the aisle with a basket of rose petals, dropping them down as she goes, or the rose petals can be strewn in advance of the wedding. Rose petals can also be used to make simple table centres. An oversized martini glass full of rose petals that are overflowing onto the table creates a glamorous centrepiece. In addition rose petals can be utilised to decorate the tables for the wedding reception. A splash of rose petals on crisp white linen can be a romantic touch, especially when you also lit a candle. A final function of wedding rose petals is a natural type of paper confetti. 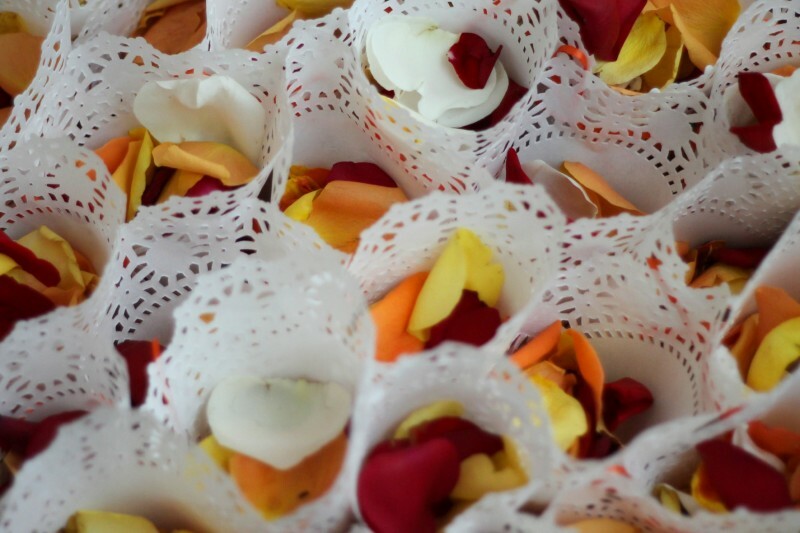 Petals can be placed in beautiful envelopes, bags or cones, and provided to guests as they arrive at the ceremony. Quite a few venues no longer allow traditional rice or confetti, so brides are selecting rose petals instead, which are entirely biodegradable. How many wedding rose petals do we need? How do we store our wedding rose petals? Rose petals must be stored at room temperature, in a dark room, away from any type of moisture. Freeze dried or preserved rose petals will last longer than you might think, so long as they are stocked properly, they can be held onto for up to four months. Your rose petals will be supplied in specialised containers, and it is best to leave it as late as possible to take them out from these and place them in bags and cones, or on tables.